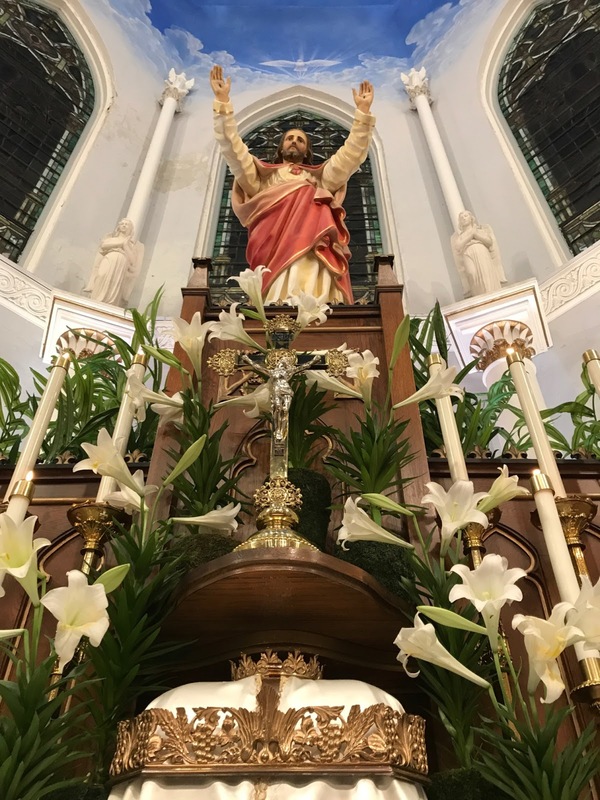 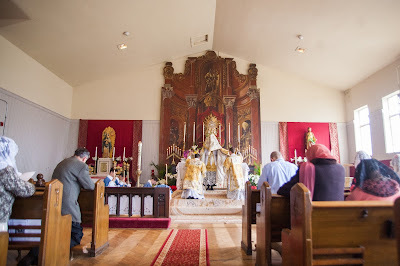 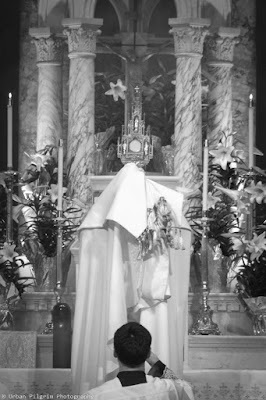 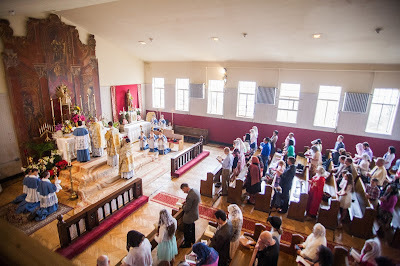 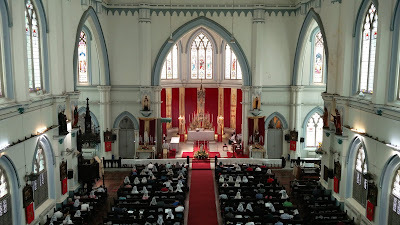 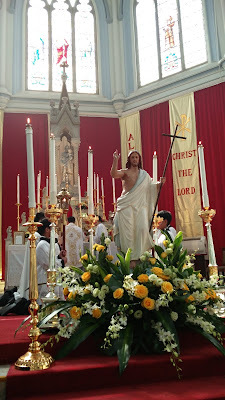 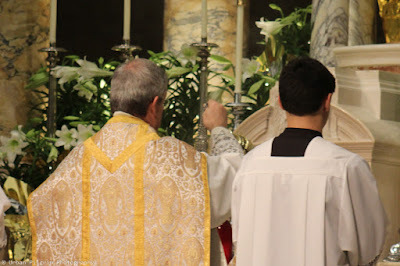 Well, it only took us half-way to Pentecost (exactly) to finally get to the Easter Sunday photopost, the last for this series. 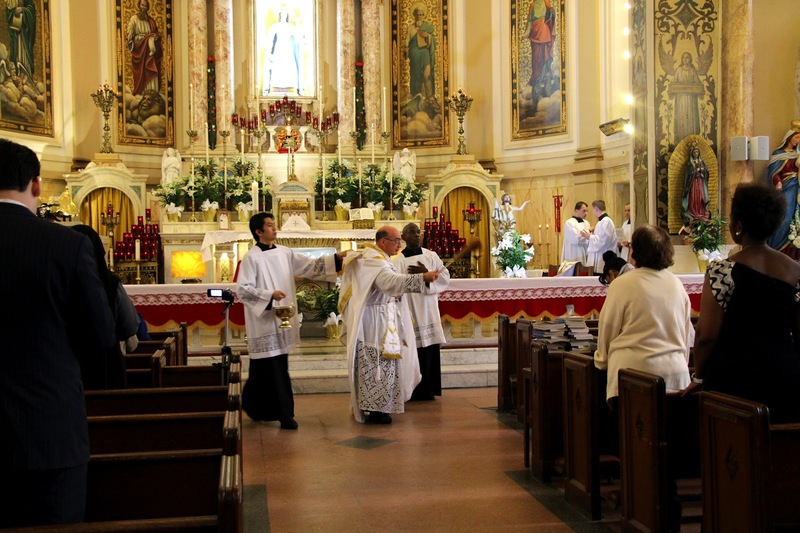 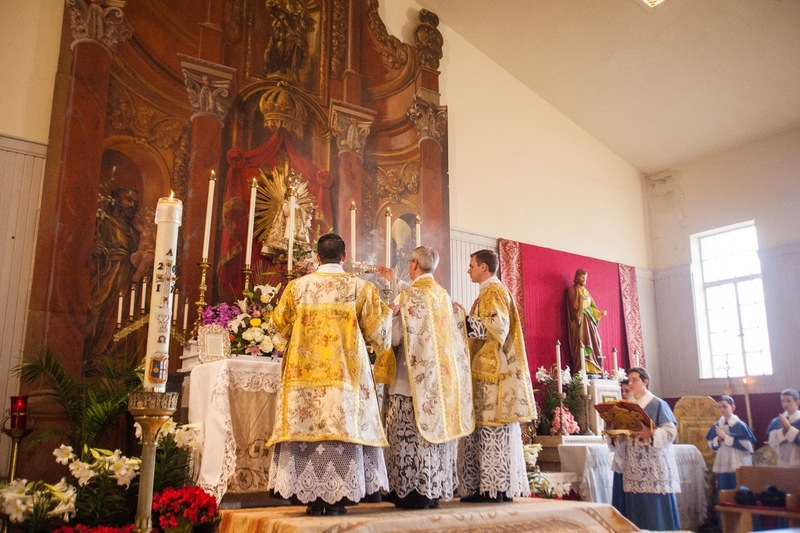 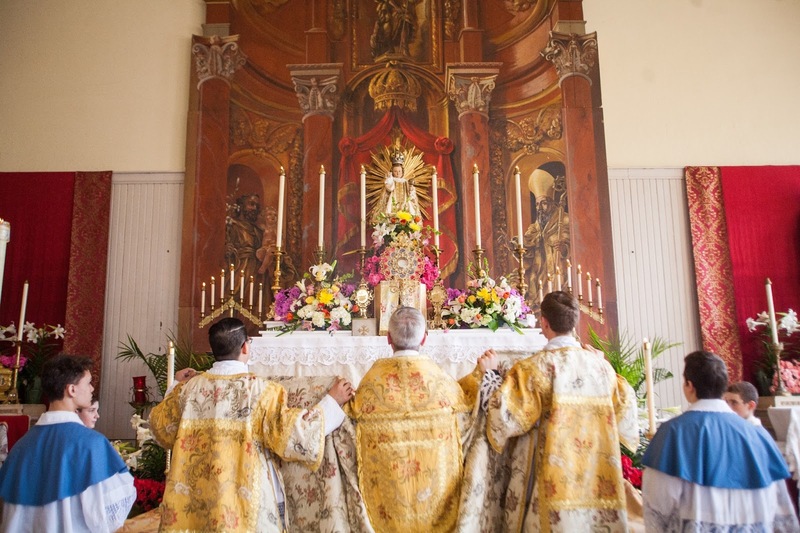 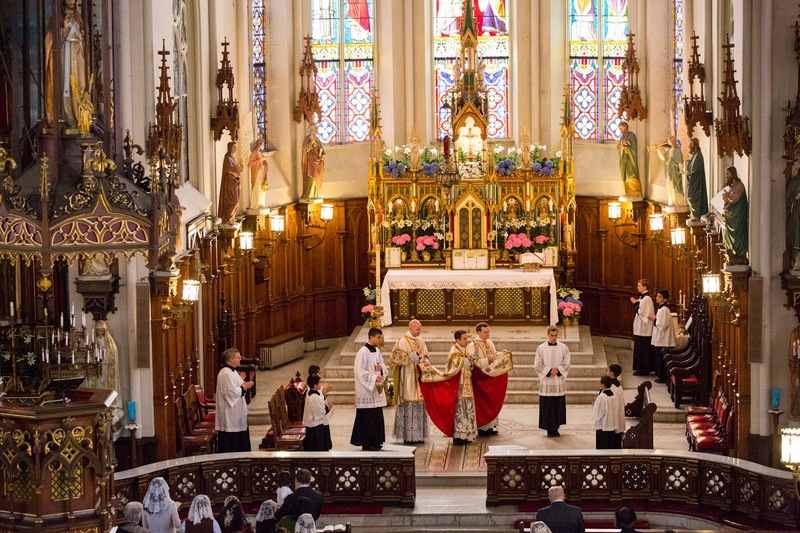 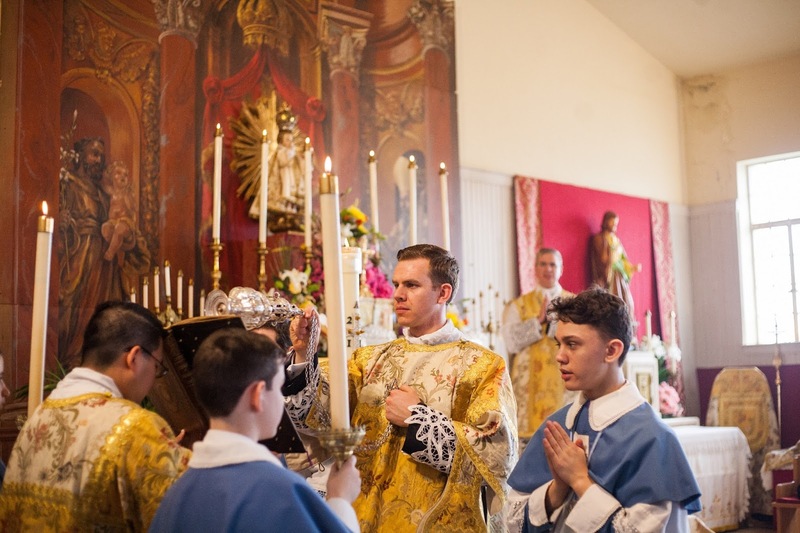 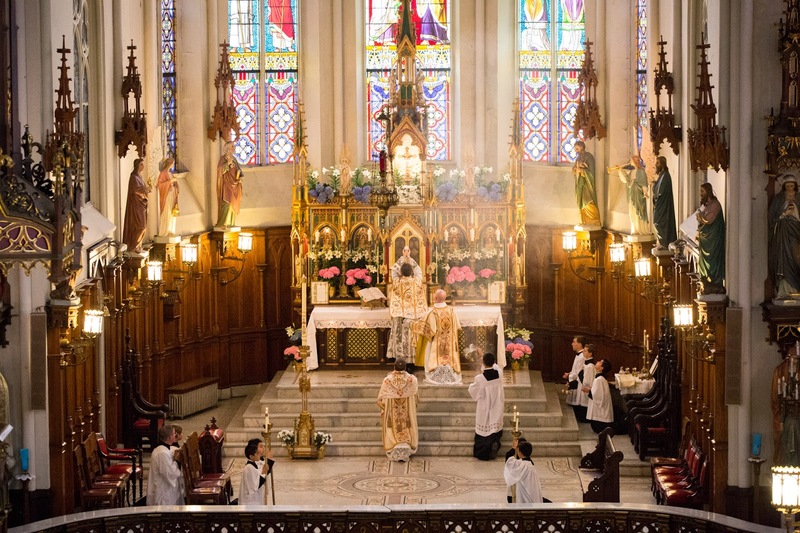 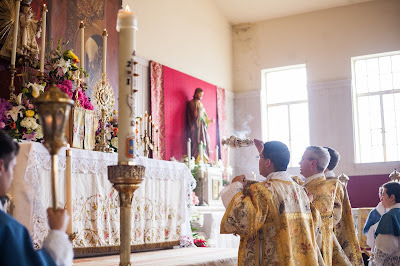 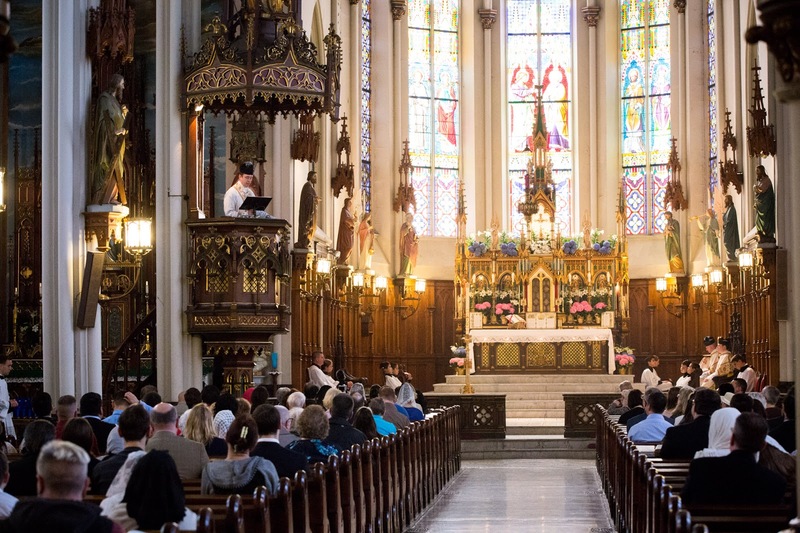 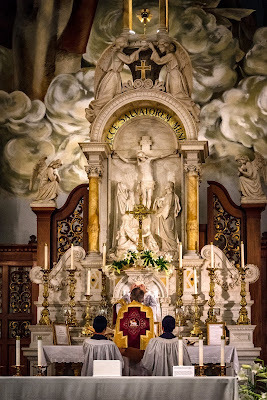 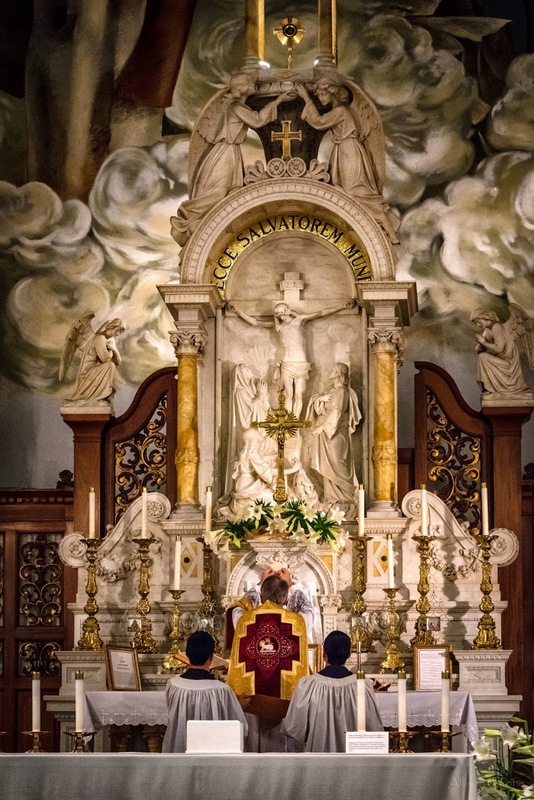 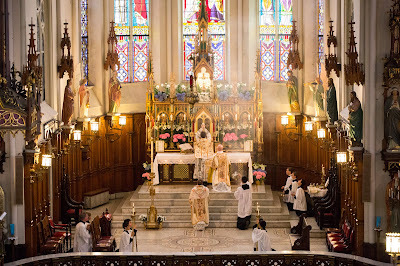 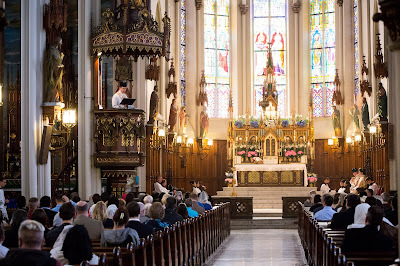 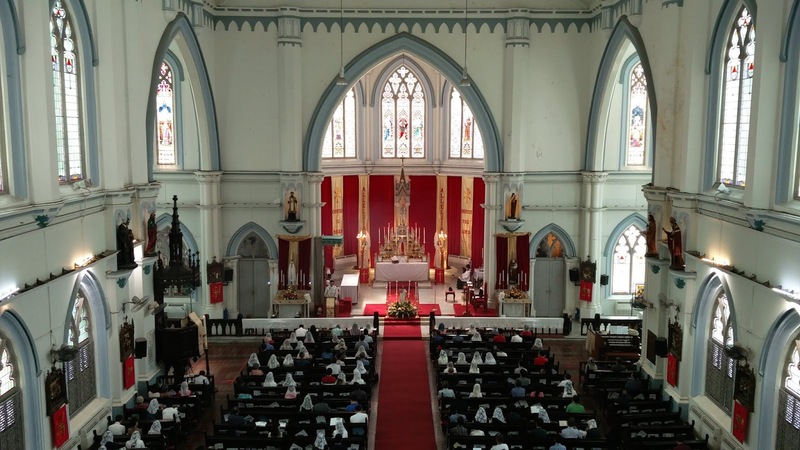 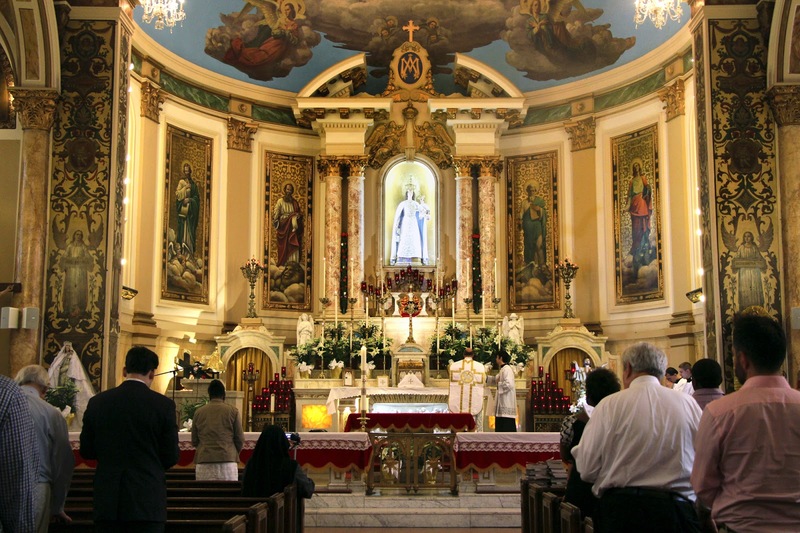 Once again, we extend our heartfelt thanks to all those who sent these in, participating in the work of evangelizing though beauty, and celebrating the richness of our Catholic liturgical tradition. 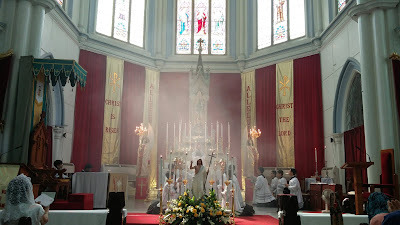 Our next photopost will be for Pentecost; a reminder will be posted shortly before the day, which is June 4th this year. May the Easter season continue to bring you every blessing in the Risen Lord! 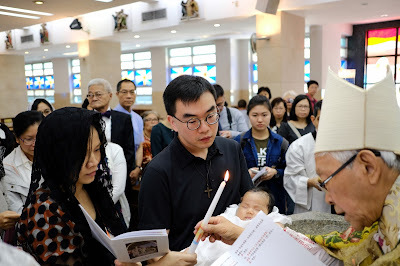 Celebrated by Joseph Cardinal Zen, Bishop Emeritus of Hong Kong. 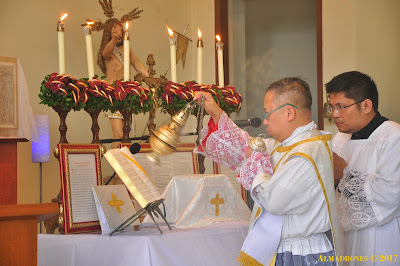 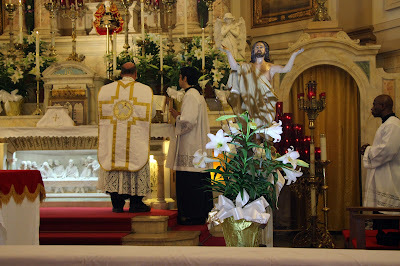 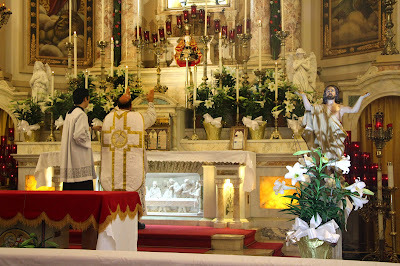 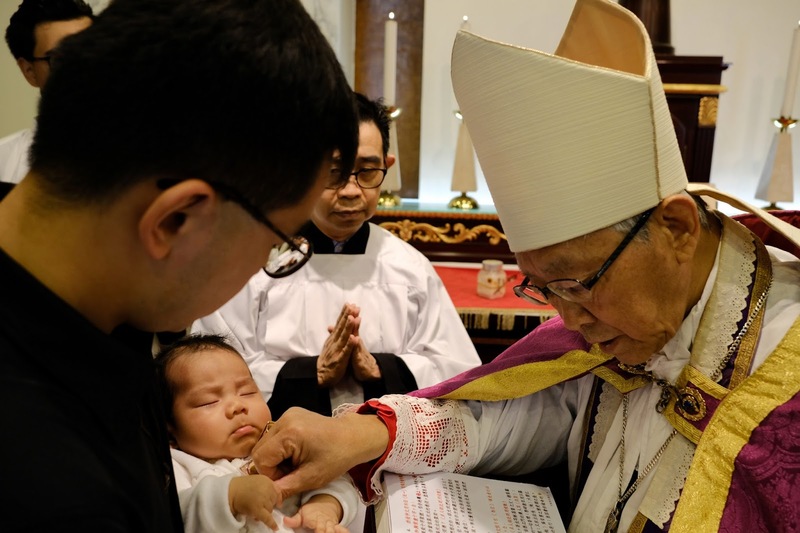 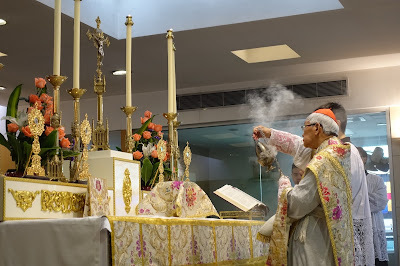 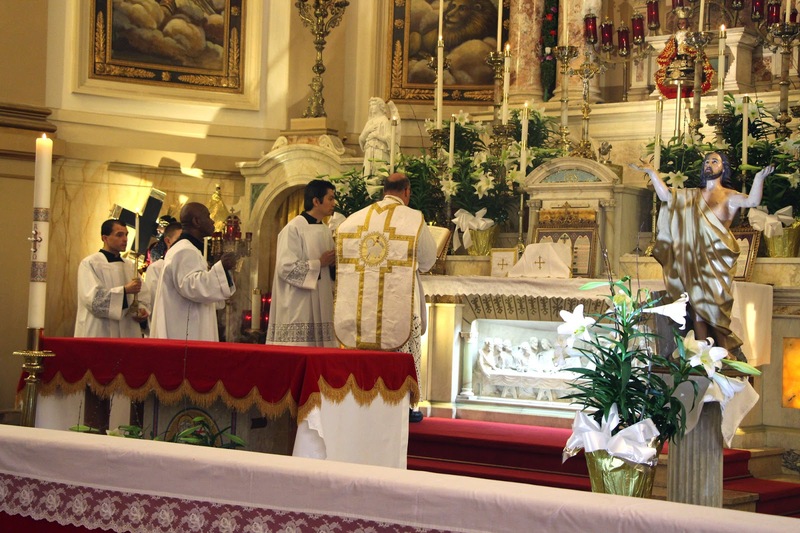 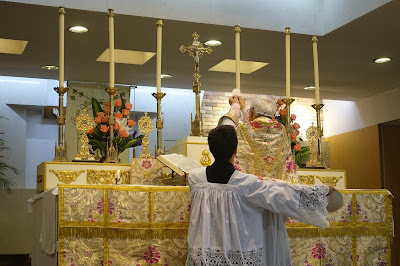 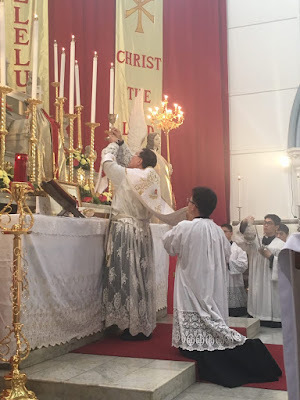 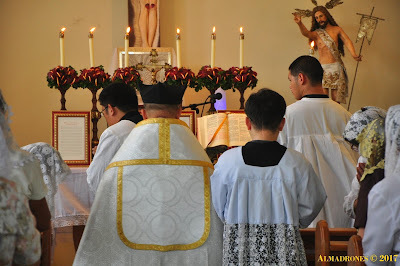 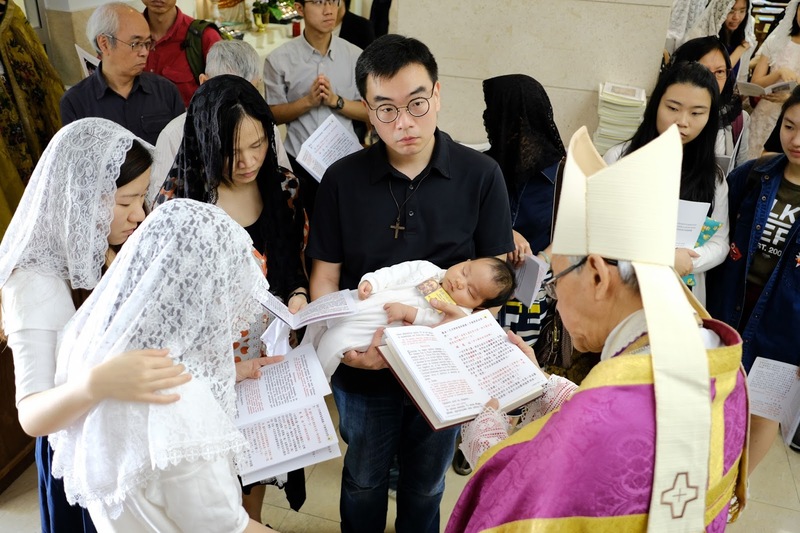 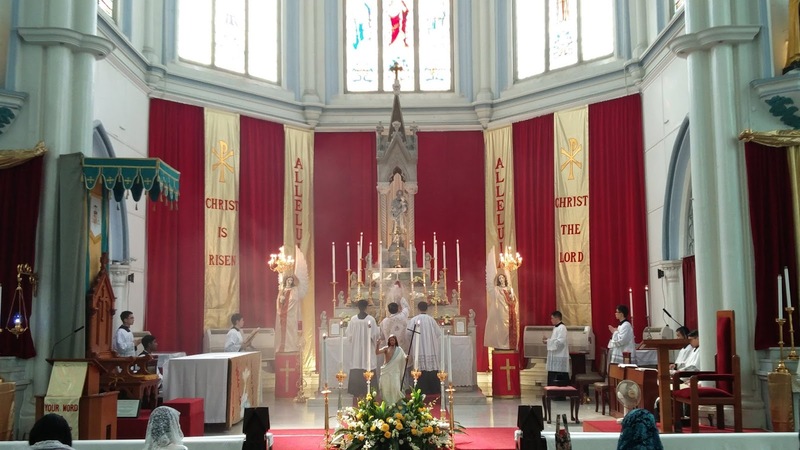 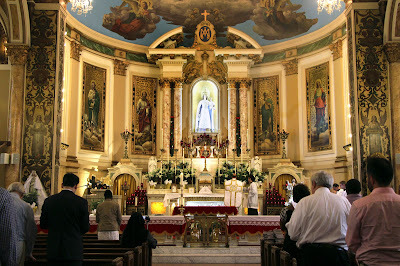 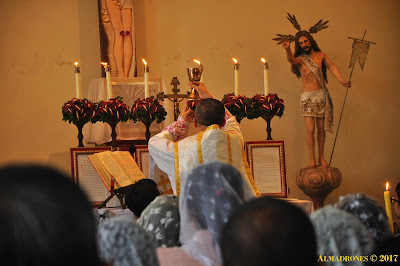 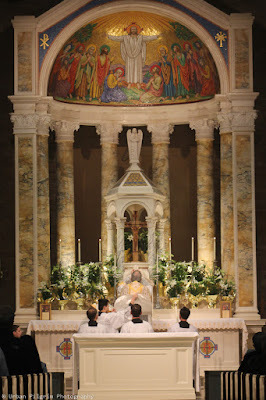 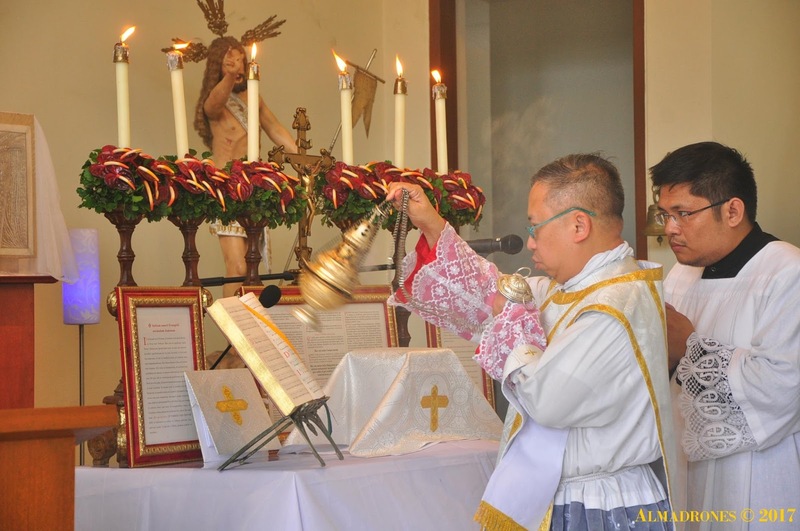 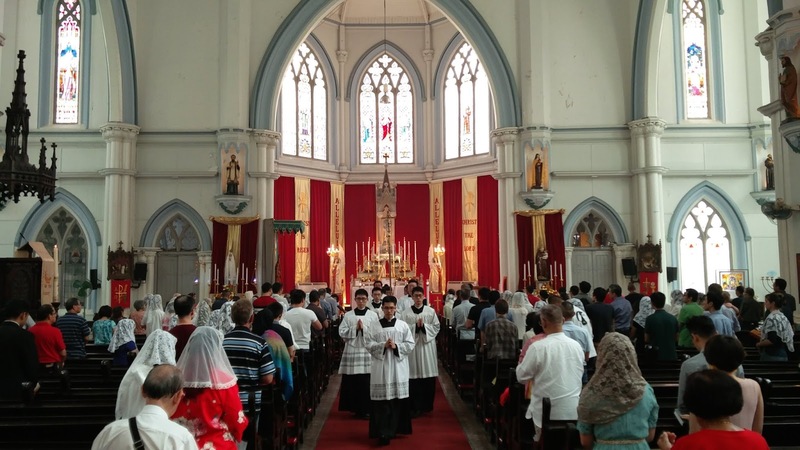 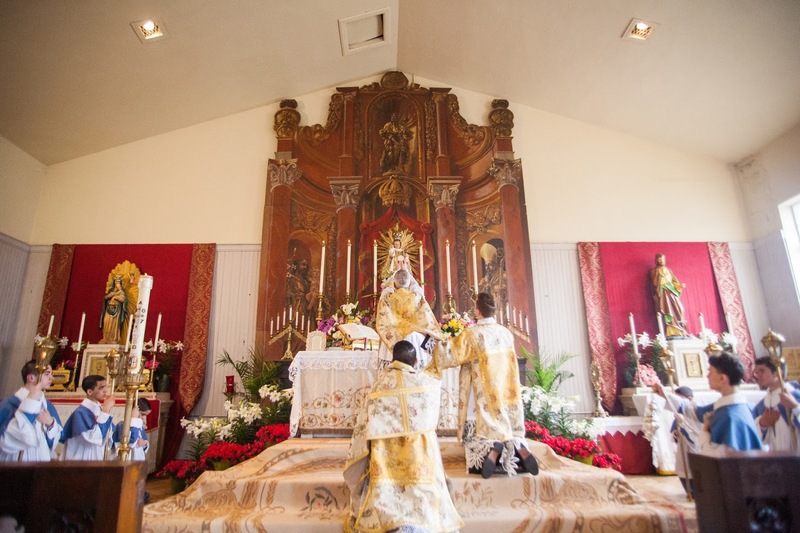 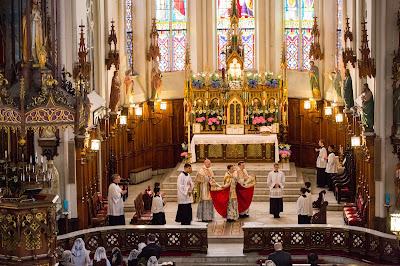 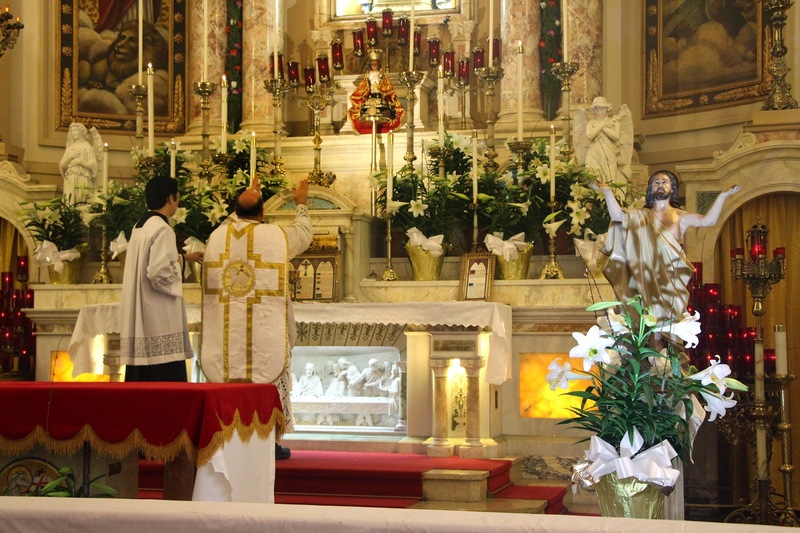 Before the Mass, His Eminence baptized the son of the regular Master of Ceremonies. 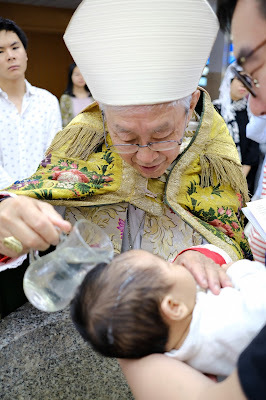 Receive the salt of wisdom! 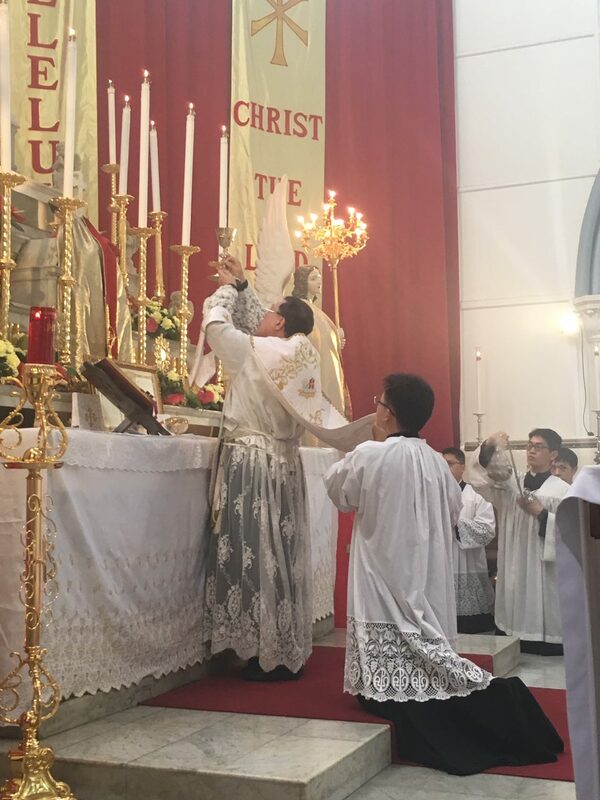 Receive the light of Christ!